Jason Katz has focused his practice on plaintiff-side civil litigation and is recognized by the Law Society of Ontario as a Certified Specialist in Civil Litigation. Jason is a founding Partner of Singer Katz LLP, a boutique Toronto law firm of experienced trial lawyers who have earned the respect of clients and peers within the legal, insurance and disability communities. He represents people in all matters pertaining to personal injury, medical malpractice and long term disability claims. With almost two decades of experience, Jason has earned a reputation for excellence in advocacy and fights for his clients to help restore their lives by getting them the compensation they deserve. Jason Katz has been recognized as a leading legal practitioner in Canada by his peers. He has successfully litigated complex personal injury claims and insurance disputes and has been involved in a number of important cases including Kamin v. Kawartha Dairy which changed occupiers liability law in Canada. While most personal injury matters resolve outside of court, Jason and his team at Singer Katz LLP are fully prepared to go to trial if a fair and reasonable settlement can not be reached. 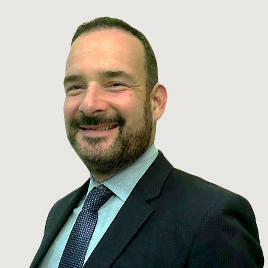 Jason has a successful record of achievement resolving cases either through negotiated settlement and mediation or through trial and appeal processes. Beyond auto insurance claims, a significant portion of Jason’s practice deals with other types of insurance litigation claims and disputes. If you find yourself in the unfortunate situation of needing to file a claim for property loss or health related reasons and are (or anticipate) being treated unfairly by your insurer, Jason Katz will see that your policy is honoured and you get the peace of mind and compensation you deserve. We only represent accident and medical malpractice victims and those involved in insurance disputes including property loss and long term disability denial claims. We believe access to justice should be available to every Ontarian and therefore, take most cases on a contingency fee basis. This means you will not have to pay us until the case is won or settled. If you or someone you know has suffered a serious injury or fatality Jason Katz can advise you on the best way forward and will consult with you by phone, in person or through email. Again, there is no cost to you for consultation and our fees are paid from, and only if, we obtain compensation for you.